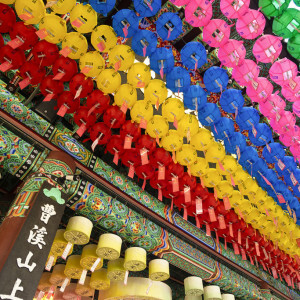 In addition to being a center for tradition and folklore, Korea is also home to a variety of interconnected religious practices. During this 3-hour Seoul Temple Tour, we'll look at years of Korean thought, from Confucianism, to modern Buddhist practice, to Catholicism. 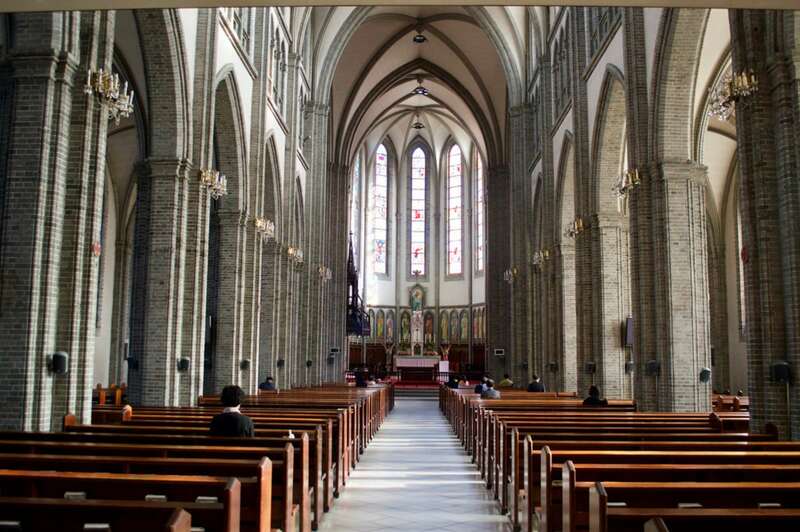 In the company of a Korean religious studies scholar, we'll visit a few important religious sites still active in Seoul, including the Confucian Supreme State shrine, Jongmyo, Jogyesa Temple, and Myeongdong Catholic Cathedral. 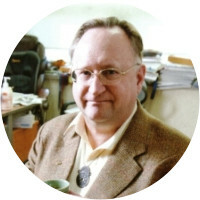 We will learn how the three major religions of Korea—Confucianism, Buddhism, and Christianity—overlap and diverge through history. 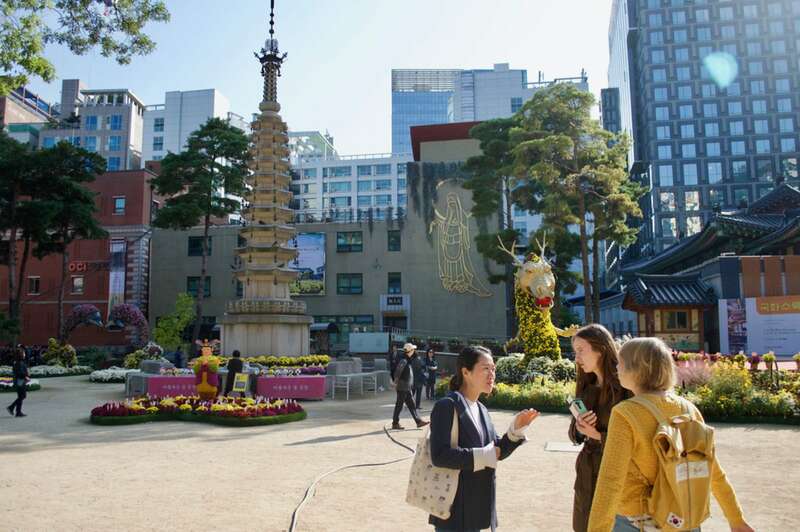 This tour will involve some time traveling via taxi or bus, given that the sites are relatively spread out, giving us not only a broad overview of this important facet of Korean society, but a very tangible experience of Seoul and its neighborhoods. We begin our exploration at a well-preserved Confucian shrine, Jongmyo. Here we'll look at the meaning of Confucianism in comparison to Buddhism, parsing Korea’s major schools of religious thought and how these traditions continue to exert a force in life today. We will wander the vast expanse of the shrine, which houses tablets bearing the teachings of members of the former royal family from the Joseon dynasty. Not only an essential religious center, the site has been recognized UNESCO World Heritage Site for its historical and cultural importance. The only way to enter (except Saturdays) is with a local guide for an hour tour of the premises. 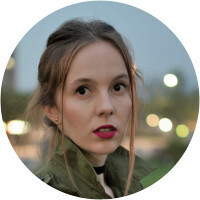 Our guide will tell us more about this crucial religious site, like the reasoning behind the shrine’s cobbled pathways and the Confucianist beliefs about where not to tread. Our docent will be able to comment on what we’ve seen and discussed when we leave the group. 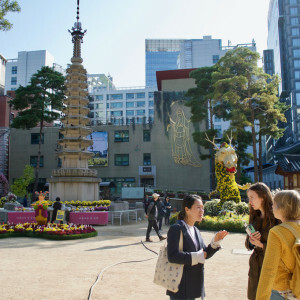 The next stop is a visit to Jogyesa Temple, which we will reach either on foot or via a short bus ride. 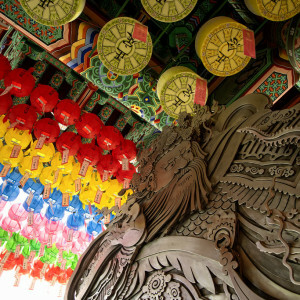 First established under the Joseon Dynasty in 1395, it is seen as one of the most important Buddhist temples in Korea and offers a calm respite from the hectic and crowded city. 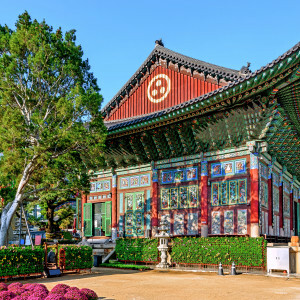 In visiting this quiet complex deeply embedded with Buddhist symbolism, we'll learn more about the background of Buddhism in Korea and the changes in locations (and names) this temple has witnessed over the years. Our docent may delve into tales of monk protests and subsequent power struggles in 1999, which involved riot police and made global news. 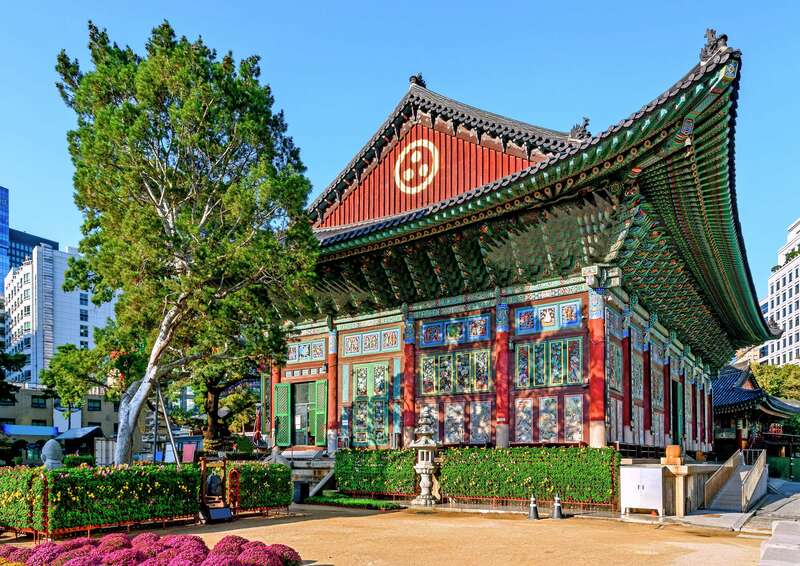 Meanwhile, we’ll admire the temple’s colorful, ornate architecture and natural adornments, such as its 500-year-old Baeksang pine tree and a 450-year-old Chinese scholar tree. We may even have a moment of calm as we take off our shoes and enter the room of worship to observe the daily prayers. 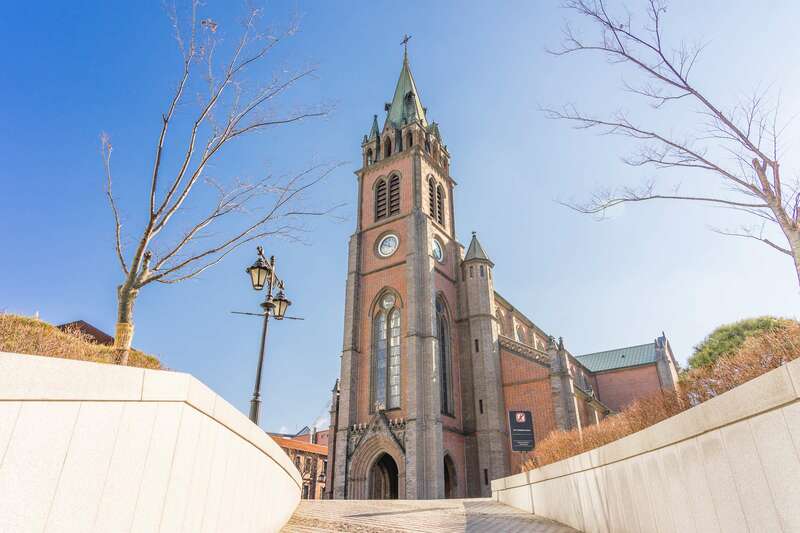 We continue our journey through Korean religions with a visit to Myeongdong Catholic Cathedral. 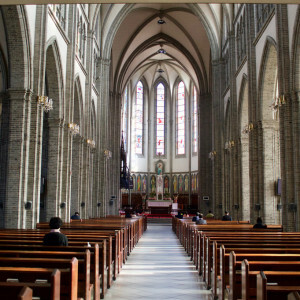 As we travel to this location, we will spend time discussing the development of Christianity in Korea, a movement that exploded in popularity in the latter half of the 20th century and continues growing at a rapid clip, having a dramatic impact on the structure and values of modern Korean society. 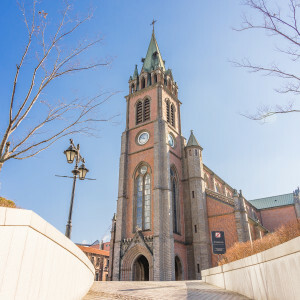 We’ll explore the site, admiring the Gothic revival architecture and facade comprised of 20 types of locally fired bricks, while discussing how the three major religions of Korea are interwoven and inform each other, leading to "traditions" that broadly influence and affect the daily life of Korean people today. (For additional insight into Korean architecture, try our Seoul History Tour which visits the mighty Gyeongbokgung Palace. 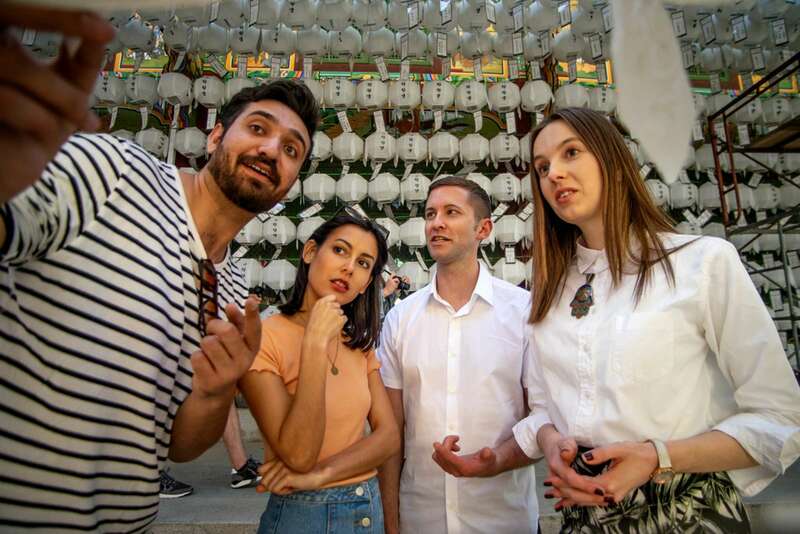 We'll emerge from our Seoul Temple Tour with a much more concrete idea of what distinguishes each of the three religions of Korea, and how they combine to create a complex system of thought that, even today, influences much of Korean life. 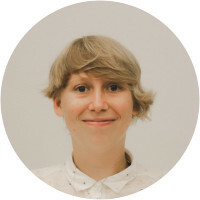 Why do we need to join a local tour guide at Jongmyo? 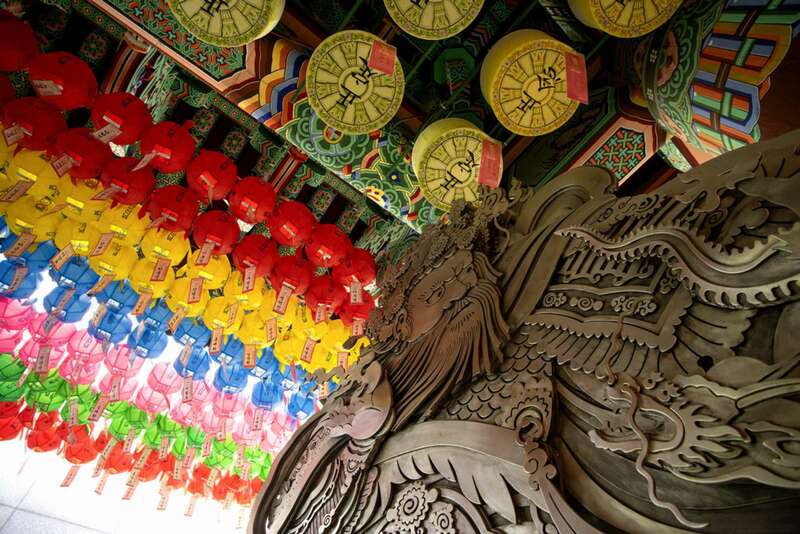 This is the only way that we can enter Jongmyo Shrine, as part of an English tour group. There will be points inside where our docent can add commentary. Where does this walk start and end? We will meet near Jongmyo Shrine and we will end at Myeondong Cathedral. How will we get between the venues? We will take a taxi to our last stop. 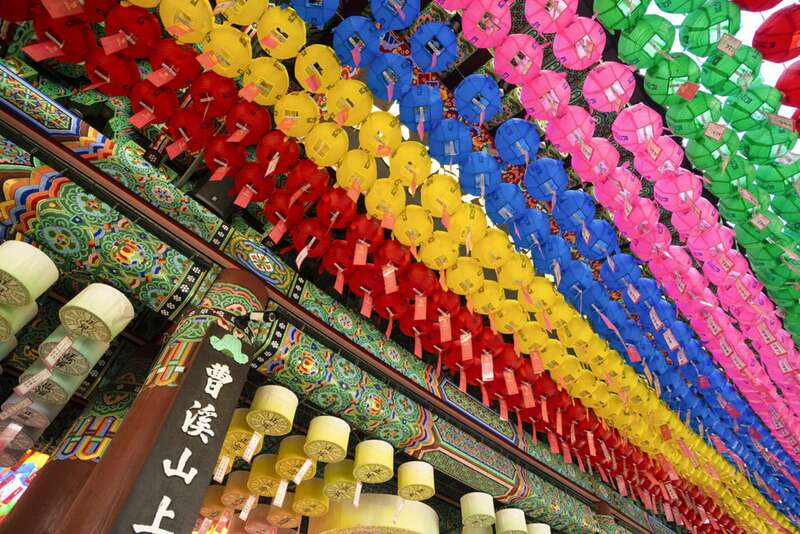 Between Jongmyo and Jogyesa we have the option of a scenic walk or a short bus/taxi ride.